What do you want to be?? Look forward to everyones comments. I have started selling on Etsy, for those of you that don’t know what that is its a site that sells only Hand Made or Vintage Items. Whilst searching around trying to work out how things function I stumbled onto the Etsy Blog and into a thread how did you come up with your name? So I answered and thought what a brilliant idea so I thought I would let everyone know how I came up with the name Chicks Love. So here it is the genius that is behind the name CHICKS LOVE ………. I wanted to make vintage fun and vibrant. 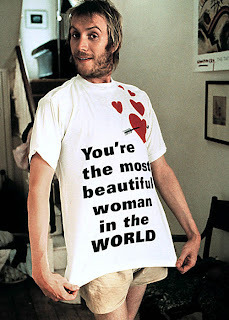 My favourite film is Notting Hill!! I thought Chicks Love lots of stuff and I thought what a great name for a website. I like the fact you can put anything to it Chicks Love ……Jewellery, Chicks Love ……….. vintage, Chicks Love ……….. shoes, Chicks Love ……..Fashion!!! So not very exciting really but there you have it! Soak for 15 minutes in a bowl of hot soapy water, then scrub very gently with a soft toothbrush, if you have a really stubborn stain the use a little white toothpaste and work in a circular motion. Rinse and dry, then polish to a sparkle with a soft cloth, A duster is ideal!! Doesn’t always work but you may be able to salvage some items. 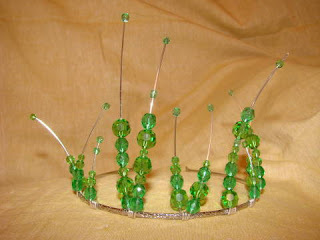 I have just written a personal article on new Wedding Tiaras being added to the site. Pop in and have a look at some of our latest designs. This green one is called Antonia and is named after my gorgeous friend. Thanks Tone for the use of your name!! From the unique and daring to the simple and chic, Chicks Love virtual boutique caters for all your jewellery needs and has something to suit all tastes and budgets. We want antique/vintage jewellery to be really appreciated for its outstanding beauty to be worn again and again. We feel it is such a shame for these precious pieces to be buried in the bottom of jewellery boxes and forgotten. We also like to save old broken jewellery and give it a new lease of life. So whatever the occasion from everyday wear to that special day you need look no further and if you can’t see what you’re looking for, just ask and we will see what we can do..
Vintage jewellery is so fun glamorous and versatile that they look fabulous with jeans to ball gowns, they are a fun and funky way to express your personality, they are wearable works of art. Vintage jewellery can be worn by fashion forward women of every age. We hope to bring you information on Jewellery Trends, who is wearing what, how to wear your jewellery and much much more. Please feel free to ask any Jewellery questions that you may have anything from how to care/clean something, How to wear certain necklace or earrings, maybe your jewellery is marked and you are not sure what it is or you are unsure about stones/material, Anything that is Jewellery realted we will do our best to help. We hope to see lots of you connecting soon! Please call back often as new items are always being discovered.